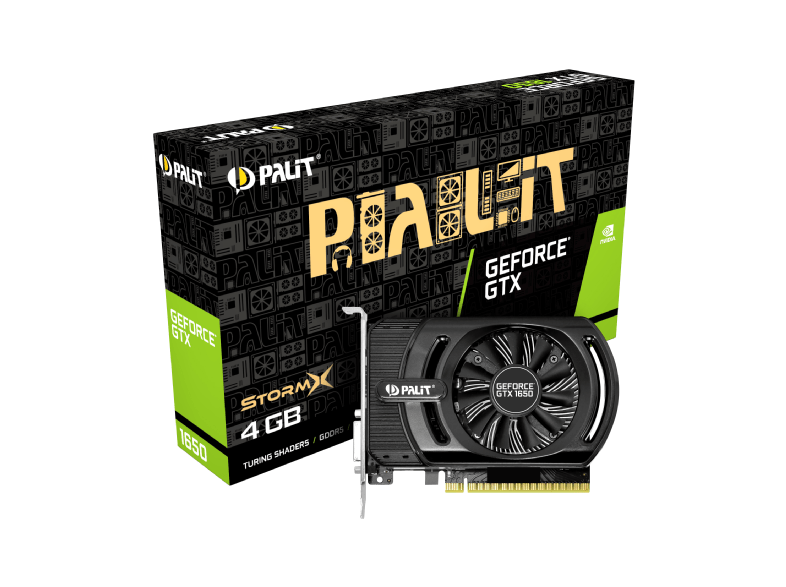 We have seen some performance indications for the GeForce GTX 1650 previously. However, the figures previously reported came from the Final Fantasy XV online benchmark results browser, which are regarded as not very representative of modern AAA PC games as a whole. Furthermore, the FFXV test results showed strong variance between graphics settings, suggesting there was something amiss. Twitter tech enthusiast Monomo_US shared some very interesting slides on Imgur earlier this week. The slides appear to be from a presentation deck advertising advancements delivered to the MSI GL63 laptop (existing model link), thanks to an updated 9th gen Intel Core i7 processor plus an Nvidia GeForce GTX 1650 GPU. The top-end i7 processor upgrade is still a 6C 12T sample called the i7-9750H, and there is an i5-9300H option too. But things get more interesting when looking at the graphics upgrade. 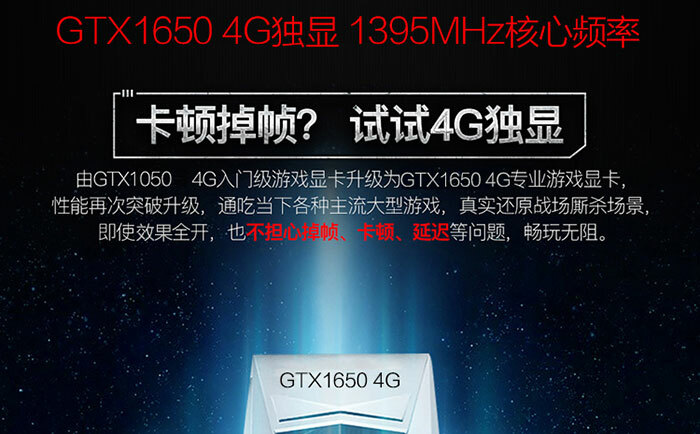 MSI provides some gaming frame rate performance examples, presumably at 1080p as per the 15.6-inch IPS screen equipped. 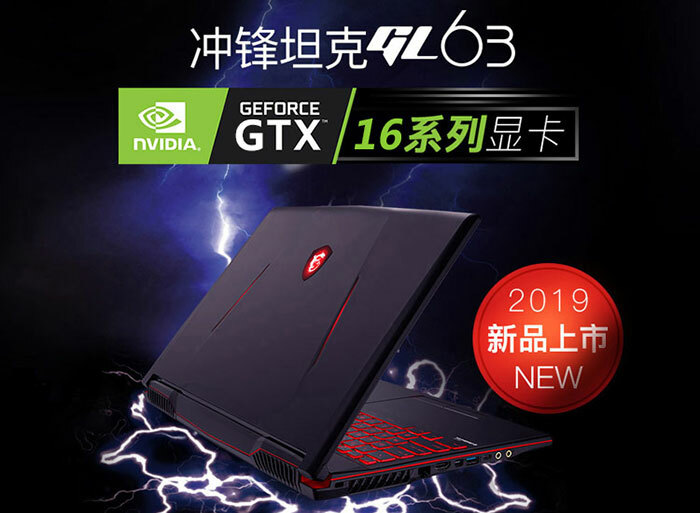 The new MSI GL63 can achieve 65fps in PUBG playing at high settings, or 95fps in Overwatch high settings, for example. 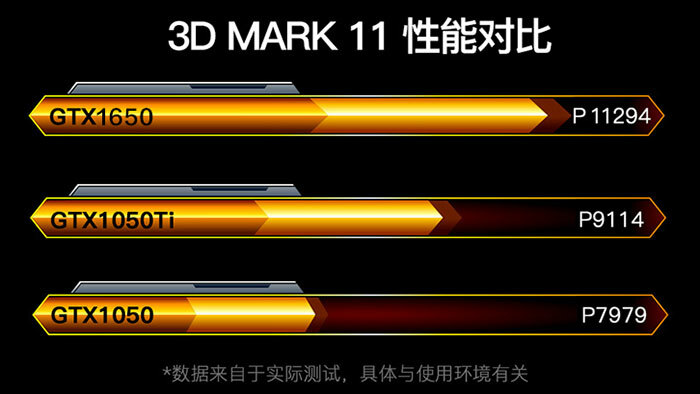 Probably more comparable are the 3DMark 11 scores. Below you can see the GTX 1650 offers a better than 40 per cent boost in 3DMark 11 compared to the GTX 1050 (not sure if in laptop or if its 2GB or 4GB version of GTX 1050 though). 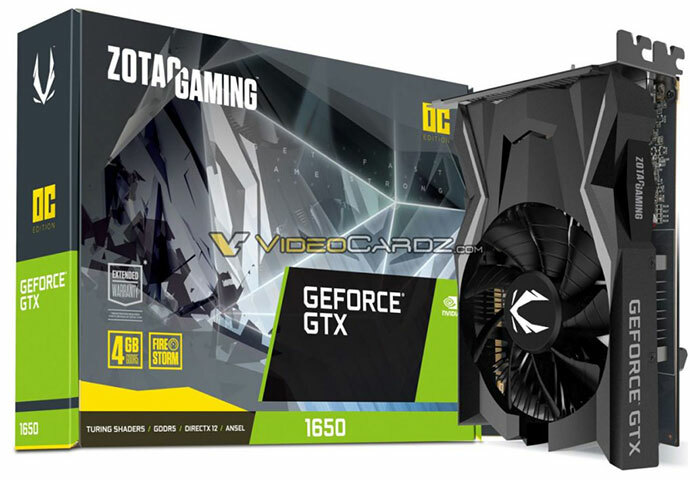 What might be the first images of an upcoming GeForce GTX 1650 graphics card have been shared by VideoCardz today. 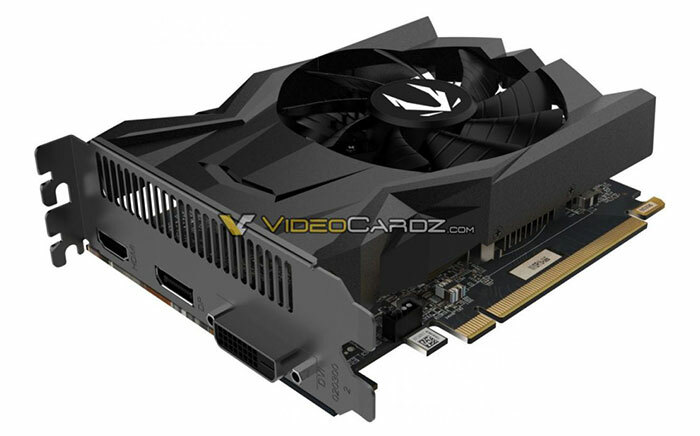 The sample in the pictures is from Zotac, and it is a single fan mini-ITX edition card. It doesn't require any more power than the PCI slot can deliver (<75W). 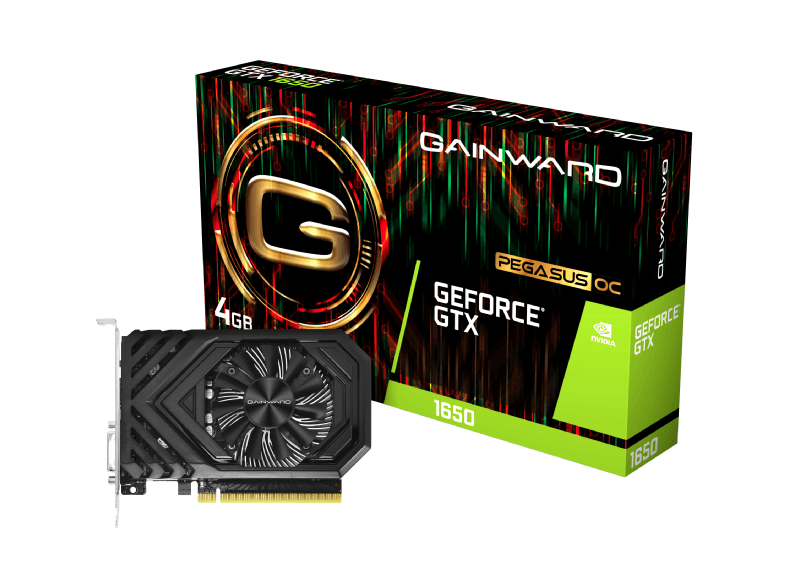 In accompanying information VideoCardz says that the GTX 1650 is based upon the Turing TU117 GPU and it will launch in two weeks time aiming for those interested in casual 1080p gaming.